(LWI) - Building her own home has been a dream for Kali Kamini, known in her Nepali village as ‘Grandma’ – and her dream became reality thanks to The Lutheran World Federation (LWF) and a local women-led charity. 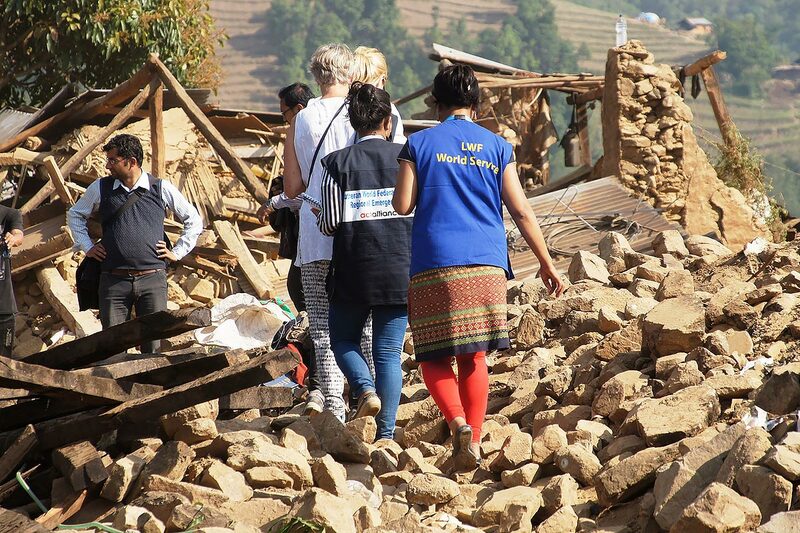 Bent at the waist and in her 80s, Kamini lost her home in the devastating earthquake that hit Nepal on 25 April 2015, killing nearly 9,000 people and injuring another 22,000 in the worst natural disaster to hit the country since 1934. ‘Grandma’ Kamini told her story to LWF staff in the Sirangaun Village of Jugal Rural Municipality in Sindhupalchok district of Nepal, an eight-hour drive from the capital city, Kathmandu. “Although I was assured money of Nepalese Rupees (NPR) 300,000, finding masons, managing food for them was a tough task for me. However, it has been possible due to support from Gramin Mahila Shrijanashil Pariwar (GMSP) and the LWF,” she said. Although I was assured money of Nepalese Rupees (NPR) 300,000, finding masons, managing food for them was a tough task for me. However, it has been possible due to support from Gramin Mahila Shrijanashil Pariwar (GMSP) and the LWF. Selecting ‘Grandma’s’ family as one of the shelter beneficiaries was not enough. She was in need of someone who could help her reconstruct the house. Therefore, LWF Nepal, during its mason training program, encouraged local masons to give priority to building her house. So, Palsang Lama, 33, her neighbor and relative, offered her help reconstructing the house. Lama coordinated the masons and the delivery of construction materials. As a result of the collaborative effort, the octogenarian has finally been able to build her house. The house has brought a renewed sense of hope to her. She has been able to get her life back. 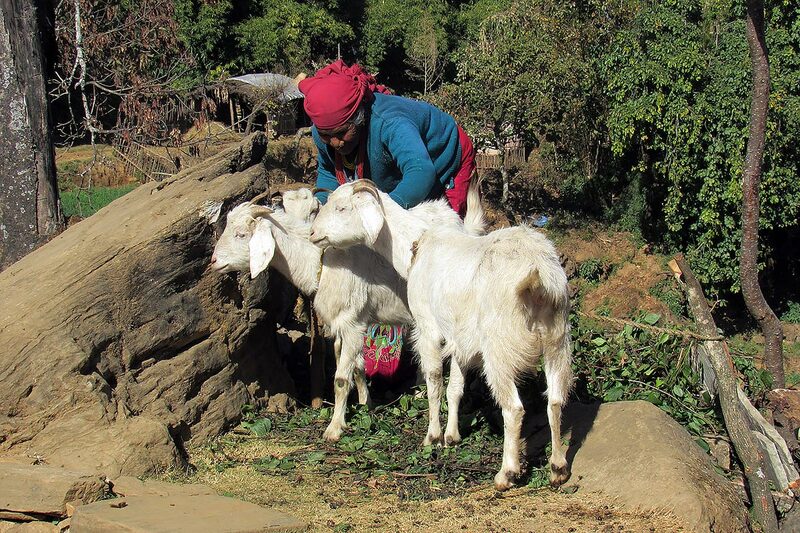 She wakes up in the morning, cleans her new house, prepares fodders for her goats, and fetches water at a nearby tap – then tends to her family. “Finally my former days have been restored, I feel like going to my neighbor’s house every evening to have a chit chat as I used to before the earthquake.” she added. ‘Grandma’ was alone inside her house when the earthquake struck. It felt like the floor in front of her dropped. Dizzy at first, she eventually managed to leave, staying with her neighbors out in the open for nearly a week, living under a tarpaulin and dealing with frequent aftershocks. Her house was destroyed. “It was like a bomb exploded,” she recalled. She was hit by anxiety and her fears increased. Life looked hopeless. Her only support was her husband, Maila, who is in his 70s. Her daughter lives in another village in the district. It takes nearly five hours to walk to her home. 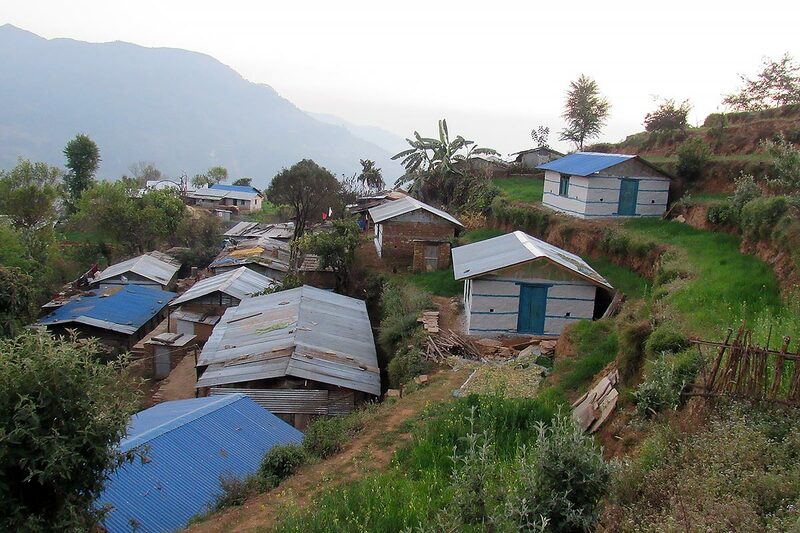 LWF Nepal reached ‘Grandma’s’ village with food, tarpaulins and other support immediately after the earthquake. It provided corrugated galvanized iron sheets to build temporary shelter. The elderly couple stayed under the tarpaulin for a number of months before moving to temporary shelter. “Life under the tarpaulin and corrugated iron sheet was the worst ever in my life,” she remembered. Within a year and a half of the earthquake, LWF Nepal began providing technical and other services to help 142 households in her village rebuild their homes. Fortunately, ‘Grandma’ was among those chosen to receive this support. Today, ‘Grandma’ frequently receives visits from her grandchildren from Pantang village, which gives her great pleasure. “After the construction of my new house, they started visiting us frequently. Now, they have a safer place to stay. The visit of my grandchildren makes me feel special, increases my hope for life and augments my confidence,” she concluded.